Romans left London because of the weather? But it seems the all-conquering Romans had an unexpected Achilles’ Heel in the grim British weather. She told the Times: ‘You’d think in civilised Roman society, there would be buffers to aid you, but the climate is still going to have an effect and we see some signs of that. The Romans’ advanced standard of living has been well-chronicled and included building cities next to waterways, under-housing heating and public baths. The Romans buried their dead outside Londinium’s city walls in the Western Cemetery, located under St Bartholomew’s Hospital near St Paul’s, and the Southern Cemetery, along the south side of the Thames in Borough. The Museum Of London’s skeleton collection is the largest in the world for one city. The study, published in the journal Science, said: ‘Increased climate variability from AD 250 to 600 coincided with the demise of the Western Roman Empire and the turmoil of the Migration Period. 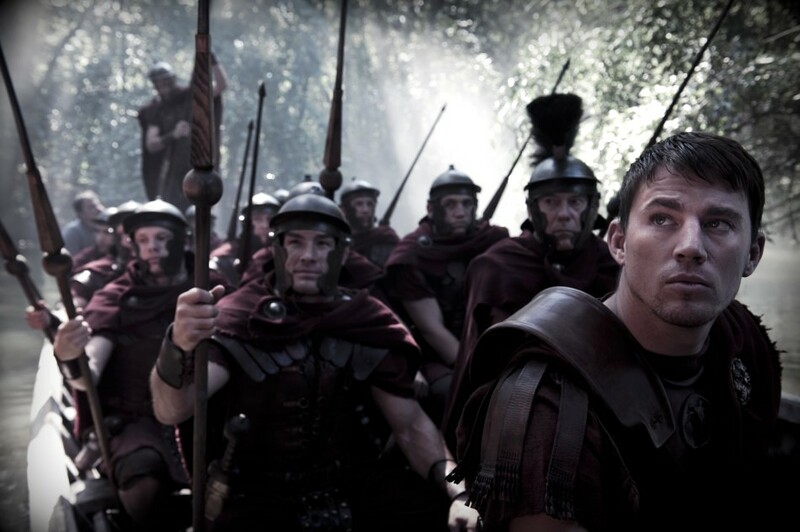 The theory that 5,000 of Rome’s finest soldiers were lost in the swirling mists of Caledonia, as they marched north to put down a rebellion, forms the basis of a new film, The Eagle, but how much of it is true? It is easy to understand the appeal of stories surrounding the loss of the Roman Ninth Legion – a disadvantaged band of British warriors inflicting a humiliating defeat upon a well-trained, heavily-armoured professional army. It’s the ultimate triumph of the underdog – an unlikely tale of victory against the odds. Recently, however, the story has seeped further into the national consciousness of both England and Scotland. For the English, the massacre of the Ninth is an inspiring tale of home-grown “Davids” successfully taking on a relentless European “Goliath”. For the Scots, given the debate on devolved government and national identity, not to say the cultural impact of Braveheart, the tale has gained extra currency – freedom-loving highlanders resisting monolithic, London-based imperialists. The legend of the Ninth gained form thanks to acclaimed novelist Rosemary Sutcliff, whose masterpiece, The Eagle of the Ninth, became an instant bestseller when published in 1954. 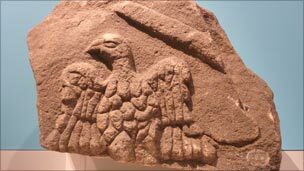 Since then, generations of children and adults have been entranced by the story of a young Roman officer, Marcus Aquila, travelling north of Hadrian’s Wall in order to uncover the truth about his father, lost with the Ninth, and the whereabouts of the Legion’s battle standard, the bronze eagle. The historians have dissented, theorising that the Ninth did not disappear in Britain at all, arguing both book and film are wrong. Their theory has been far more mundane – the legion was, in fact, a victim of strategic transfer, swapping the cold expanse of northern England, for arid wastes in the Middle East. Here, sometime before AD 160, they were wiped out in a war against the Persians. But, contrary to this view, there is not one shred of evidence that the Ninth were ever taken out of Britain. It’s just a guess which, over time, has taken on a sheen of cast iron certainty. Three stamped tiles bearing the unit number of the Ninth found at Nijmegen, in the Netherlands, have been used to support the idea of transfer from Britain. But these all seem to date to the 80s AD, when detachments of the Ninth were indeed on the Rhine fighting Germanic tribes. They do not prove that the Ninth left Britain for good. 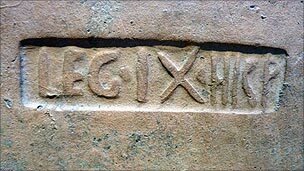 In fact, the last certain piece of evidence relating to the existence of the Legion from anywhere in the Roman Empire comes from York where an inscription, dating to AD 108, credits the Ninth with rebuilding the fortress in stone. Some time between then and the mid-2nd Century, when a record of all Legions was compiled, the unit had ceased to exist. But what happened to the Ninth? The early years of the 2nd Century were deeply traumatic for Britannia. The Roman writer Fronto observed that, in the reign of the emperor Hadrian (AD 117 – 138), large numbers of Roman soldiers were killed by the British. The number and full extent of these losses remain unknown, but they were evidently significant. The anonymously authored Augustan History, compiled in the 3rd Century, provides further detail, noting that when Hadrian became emperor, “the Britons could not be kept under Roman control”. The British problem was of deep concern to Roman central government. Thanks to a tombstone recovered from Ferentinum in Italy, we know that emergency reinforcements of over 3,000 men were rushed to the island on “the British Expedition”, early in Hadrian’s reign. The emperor himself visited the island in AD 122, in order to “correct many faults”, bringing with him a new legion, the Sixth. 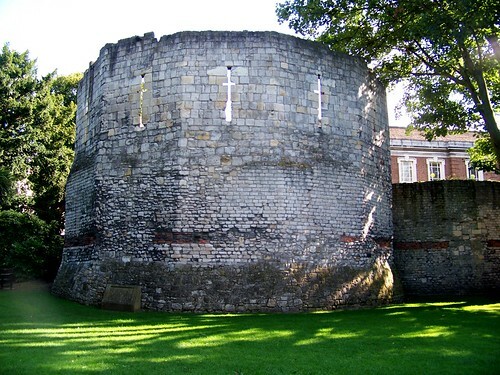 The fact that they took up residence in the legionary fortress of York suggests that the “great losses” of personnel, alluded to by Fronto, had occurred within the ranks of the Ninth. It would seem that Sutcliff was right after all. It was the Ninth, the most exposed and northerly of all legions in Britain, that had borne the brunt of the uprising, ending their days fighting insurgents in the turmoil of early 2nd Century Britain. The loss of such an elite military unit had an unexpected twist which reverberates to the present day. When the emperor Hadrian visited Britain at the head of a major troop surge, he realised that there was only one way to ensure stability in the island – he needed to build a wall. Hadrian’s Wall was designed to keep invaders out of Roman territory as well as ensuring that potential insurgents within the province had no hope of receiving support from their allies to the north. From this point, cultures on either side of the great divide developed at different rates and in very different ways. The ultimate legacy of the Ninth was the creation of a permanent border, forever dividing Britain. 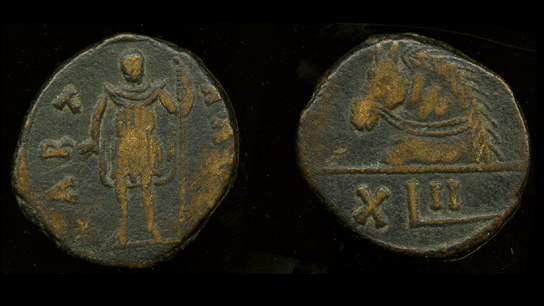 The origins of what were to become the independent kingdoms of England and Scotland may be traced to the loss of this unluckiest of Roman legions. The great waves of plague that twice devastated Europe and changed the course of history had their origins in China, a team of medical geneticists reported Sunday, as did a third plague outbreak that struck less harmfully in the 19th century. And in separate research, a team of biologists reported conclusively this month that the causative agent of the most deadly plague, the Black Death, was the bacterium known as Yersinia pestis. This agent had always been the favored cause, but a vigorous minority of biologists and historians have argued the Black Death differed from modern cases of plague studied in India, and therefore must have had a different cause. The Black Death began in Europe in 1347 and carried off an estimated 30 percent or more of the population of Europe. For centuries the epidemic continued to strike every 10 years or so, its last major outbreak being the Great Plague of London from 1665 to 1666. The disease is spread by rats and transmitted to people by fleas or, in some cases, directly by breathing. One team of biologists, led by Barbara Bramanti of the Institut Pasteur in Paris and Stephanie Haensch of Johannes Gutenberg University in Germany, analyzed ancient DNA and proteins from plague pits, the mass burial grounds across Europe in which the dead were interred. Writing in the journal PLoS Pathogens this month, they say their findings put beyond doubt that the Black Death was brought about by Yersinia pestis. Dr. Bramanti’s team was able to distinguish two strains of the Black Death plague bacterium, which differ both from each other and from the three principal strains in the world today. They infer that medieval Europe must have been invaded by two different sources of Yersinia pestis. One strain reached the port of Marseilles on France’s southern coast in 1347, spread rapidly across France and by 1349 had reached Hereford, a busy English market town and pilgrimage center near the Welsh border. The strain of bacterium analyzed from the bones and teeth of a Hereford plague pit dug in 1349 is identical to that from a plague pit of 1348 in southern France, suggesting a direct route of travel. But a plague pit in the Dutch town of Bergen op Zoom has bacteria of a different strain, which the researchers infer arrived from Norway. 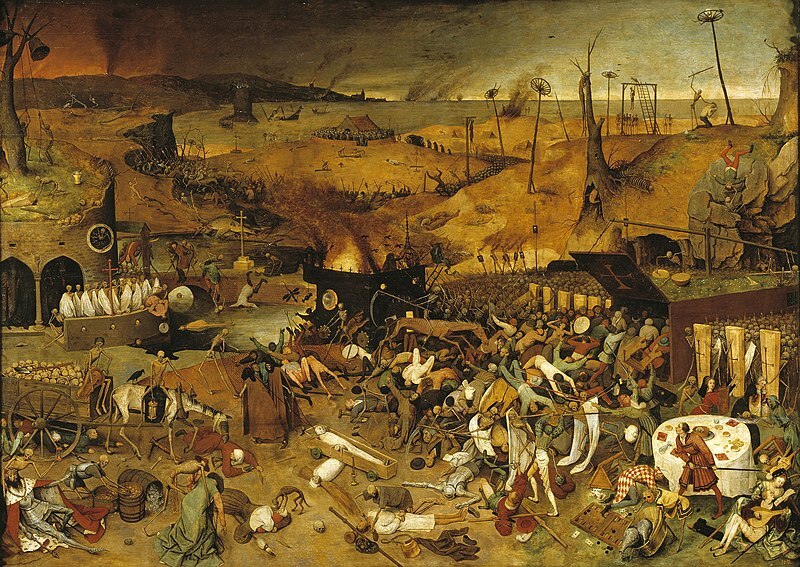 The Black Death is the middle of three great waves of plague that have hit in historical times. The first appeared in the 6th century during the reign of the Byzantine emperor Justinian, reaching his capital, Constantinople, on grain ships from Egypt. The Justinian plague, as historians call it, is thought to have killed perhaps half the population of Europe and to have eased the Arab takeover of Byzantine provinces in the Near East and Africa. The third great wave of plague began in China’s Yunnan province in 1894, emerged in Hong Kong and then spread via shipping routes throughout the world. It reached the United States through a plague ship from Hong Kong that docked at Hawaii, where plague broke out in December 1899, and then San Francisco, whose plague epidemic began in March 1900. The three plague waves have now been tied together in common family tree by a team of medical geneticists led by Mark Achtman of University College Cork in Ireland. By looking at genetic variations in living strains of Yersinia pestis, Dr. Achtman’s team has reconstructed a family tree of the bacterium. By counting the number of genetic changes, which clock up at a generally steady rate, they have dated the branch points of the tree, which enables the major branches to be correlated with historical events. In the issue of Nature Genetics published online Sunday, they conclude that all three of the great waves of plague originated from China, where the root of their tree is situated. Plague would have reached Europe across the Silk Road, they say. An epidemic of plague that reached East Africa was probably spread by the voyages of the Chinese admiral Zheng He who led a fleet of 300 ships to Africa in 1409. “What’s exciting is that we are able to reconstruct the historical routes of bacterial disease over centuries,” Dr. Achtman said. Lester K. Little, an expert on the Justinian plague at Smith College, said in an interview from Bergamo, Italy, that the epidemic was first reported by the Byzantine historian Procopius in 541 A.D. from the ancient port of Pelusium, near Suez in Egypt. Historians had assumed it arrived there from the Red Sea or Africa, but the Chinese origin now suggested by the geneticists is possible, Dr. Little said. The geneticists’ work is “immensely impressive,” Dr. Little said, and adds a third leg to the studies of plague by historians and by archaeologists. The likely origin of the plague in China has nothing to do with its people or crowded cities, Dr. Achtman said. The bacterium has no interest in people, whom it slaughters by accident. Its natural hosts are various species of rodent such as marmots and voles, which are found throughout China. Excellent news for all the Aztec aficionados – “Teotihuacan – Mexico’s Mysterious Pyramid City” is the name of an exhibition to be presented by the Martin-Gropius-Bau in Berlin from 1 July to 10 October 2010. The initiator and curator of this exhibition was Felipe Solís Olguín, who had brought the “Aztecs” to Berlin in 2003. The director of the world-famous “Museo Nacional de Antropología” in Mexico City died in April 2009, a few weeks before the great show opened there. The exhibition is dedicated to his memory. More than 450 outstanding objects giving a comprehensive insight into the art, everyday life and religion of this enigmatic culture will be on view in Europe for the first time. They include specimens of monumental architecture, filigree vessels and figures, costly stone carvings, masks, statues of gods and representations of animals as well as examples of highly symbolic murals which have retained their brilliant colours since their creation some 2,000 years ago. Permission has been given for the first (and probably the last) time for the 15 large-format fragments of murals to be sent abroad. Numerous exhibits were only discovered in the latest excavations. In its Classical Epoch (100 B.C. to 650 A.D.) Teotihuacan was the first, largest and most influential metropolis on the American continent. Some thousand years later, in the 14th century, when the Aztecs discovered the abandoned ruins of the city, they gave it the name of Teotihuacan – “the place at which men become gods” – and used it as the setting for their own creation myth. Located nearly 50 kilometres to the north of Mexico City, Teotihuacan has had UNESCO heritage status since 1987 and is the most frequently visited of Mexico’s 170 accessible archaeological sites. The pyramid city lies in a wide valley that has been settled since time immemorial. Between the first century B.C. and about 650 A.D. the inhabitants laid out a unique Ceremonial Centre on the basis of astronomical observations. The main pyramids are the 63-metre-high Pyramid of the Sun, (Pirámide del Sol) with a lateral length of 215 metres, and the 48-metre-high Pyramid of the Moon (Pirámide de la Luna) at the northern end of the two kilometre-long Avenue of the Dead (Calzada de los Muertos). The southern end of the ensemble, of which only a fraction has been excavated and studied, is dominated by what the Spaniards called the “Citadel” (Ciudadela), containing the Temple of Quetzalcoatl, the Feathered Serpent (Templo de la Serpiente Emplumada), and the Aztec Rain God, Tlaloc, which is decorated with 365 sculptures of these divinities. In this complex and under the Pyramid of the Moon archaeologists have made important discoveries in recent decades, showing that burials and sacrificial offerings, wars and taking of captives, were part of everyday life in Teotihuacan. Until its mysterious end in the 7th century, which was accompanied by a devastating fire, Teotihuacan was a powerful political, military, economic and cultural centre that influenced the whole of Mesoamerica, especially in the fields of architecture and art. The area covered by the city, which in its heyday was home to over 160,000 people and was one of the greatest cities in the world, was about 20 square kilometres. It was laid out along wide avenues and had efficiently functioning drainage and water-supply systems. The imposing and splendid pyramids, temples and palaces were coated with stucco and decorated with murals in brilliant colours. There were public buildings, administrative quarters, and various residential areas. Particularly worthy of note are the accommodations and workshops kept for visiting artists, craftsmen and traders from such places as Oaxaca or the Maya cities, who contributed to the city’s prosperity. Treasures from leading Mexican museums have been brought together for this exhibition. Most of the exhibits come from the National Museum of Anthropology in Mexico City and the two museums in Teotihuacan itself. In addition, the Anahuacalli Museum – built by Diego Rivera for his collection of pre-Spanish sculptures – has for the first time lent valuable items. The exhibition is divided into nine sections. The first item to welcome the visitor is the Great Jaguar of Xalla, one of the more recent finds from a palace complex and a characteristic example of decorative monumental architecture. An introduction to the development of the city and its archaeological history is followed by a section on architecture and town planning as represented by sculptures, friezes and murals. The social themes of politics, hierarchies, economy, war and commerce are represented by a multitude of objects, including stone sculptures, clay vessels and jade jewellery. Obsidian, for example, was the material from which weapons were made, Teotihuacan being a great manufactory of weapons. There is a spectacular reconstruction of a tomb found under the Pyramid of the Moon in the course of an excavation campaign in 1998-2004. Original objects are shown in glass cases. A special category may be seen in the “innkeeper figures”, which house inside them tiny, elaborately shaped figurines arranged as in a seedling box. Religion, gods and rituals, urban and social life, art, crafts and workshops as well as cultural exchange are further themes of this unique show, which displays a wealth of new findings.